The University District Food Bank’s Annual Take a Bite Out of Hunger Benefit Auction will take place this coming Saturday, Oct. 1. The food bank, located 4731 15th Ave. N.E. in the University District, serves people in the northeast part of Seattle who find themselves unable to afford enough food to survive. 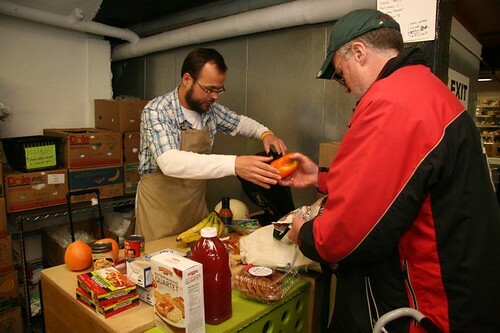 The food bank’s service area includes Eastlake. The auction will be 5:30-10 p.m. Saturday, Oct. 1, at St. Demetrios Church, just over the hill from Eastlake in the Portage Bay area. Tickets are available at the University District Food Bank’s website and cost $75. Your ticket gets you complimentary champagne during the silent auction, a delicious dinner (this year has a Moroccan theme), complimentary wine during dinner and the chance to help out a great organization that provides a vital service to our community. The auction items range from the inexpensive (restaurant gift cards, wine, Girl Scout cookies and more) to more upscale (airline tickets, a week’s use of a house at a Florida writer’s retreat, dinner for two at Canlis, a Holland America cruise and much more). Ever wanted to have drinks with Mayor Mike McGinn or lunch with City Councilmember Jean Godden (or play Scrabble with her) or share a beverage with Congressman Jim McDermott? All of those items are available. More information on the auction and a link to purchase tickets can be found at the University District Food Bank’s website. The food bank serves 1,100 families each week, providing everything from groceries to toiletries, as well as baby food and baby supplies. 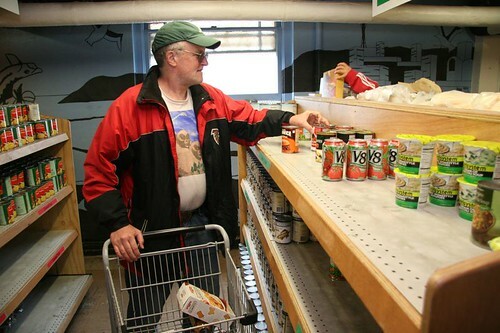 At least 60 percent of the food bank’s clients have a part-time job but are unable to make ends meet and afford all the basic necessities. The food bank allows them to eat and meet other needs, such as rent, electricity, prescription drugs, school supplies or car repairs. This entry was posted in Uncategorized on September 25, 2011 by cdmilton.